Wood carving has probably been around about as long as man has been upon the earth. So the history of wood carving begins at the beginning. Man has always used and manipulated wood. Adam was probably the first wood carver. He must have used wood as one of his first tools, maybe for a club or a walking stick. He could have even tied a rock to a stick of wood and used it for a hammer. When he found a way to make an instrument sharp enough to hunt with, an arrow head or spear head may have been first but if so the knife couldn’t have been far behind. What do you think a man with a knife living in the forest or jungle who is surrounded by standing and fallen trees would do to pass his time? Woodcarving just got its beginning. Was the date recorded in a book? There probably were no books. Besides, carving was so much fun who would take the time to write it down. He probably started out whittling or maybe carved other tools or utensils out of wood. 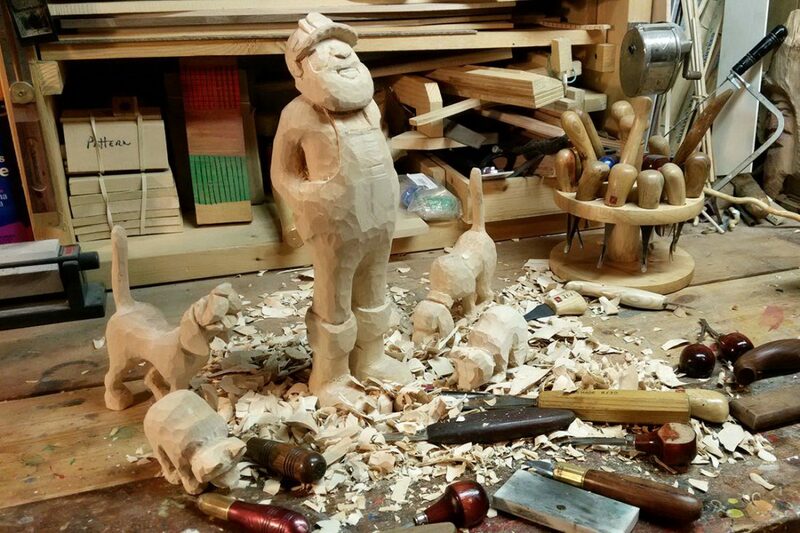 After a while he must have discovered he could carve or make just about anything he wanted out of wood. Carving could have been his favorite pastime, at least until Eve came along. 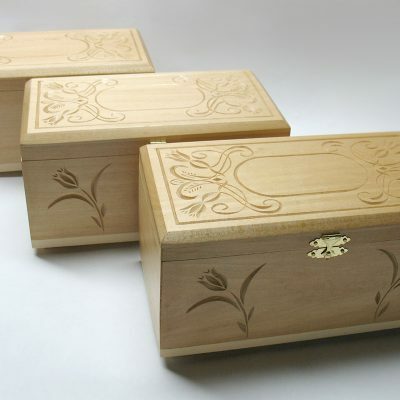 Due to wood being a material that will not withstand the test of time, wood carvings must be protected and taken care of if they are to endure. Unlike stone carvings or sculptures that might be buried for thousands of years and survive, imagine what would happen to a wood carving or wood sculpture under those conditions. Between the elements and the insects, in just a short time nothing would be left. There is a country where conditions are favorable enough that wood could survive for long periods of time without the best of care. The climate in Egypt is the only climate where this could happen. In 1860, eleven wooden panels were found that had been preserved under the sands for over 4000 years. Each of these panel measured two feet by one and one half feet. These panels are what us modern wood carvers would call relief carvings. They were found in the tomb of Pharaon Hesy-Ra. The earliest three dimensional figure yet found is thought to have been carved around 2500 B.C. The carving is three feet high and is in the usual Egyptian pose, walking forward with both feet flat on the ground and holding a staff in one hand. Wood was not plentiful in Egypt and the Acacia and the Sycamore were the only trees growing suitable for carving. These trees were so scarce that they were considered sacred. While there are indications that in almost every country people practiced the art of wood carving, the carvings did not survive as they did in Egypt. Notice how the Bible says God gave these people the wisdom, understanding and knowledge to do this work. Any wisdom, skill or talent that we have is not due to our own greatness, but are gifts from God and we should thank Him for them. During the Dark Ages wood carving had its ups and downs. In Europe,the art of wood carving was pretty much confined to Monasteries as that was the only place that was safe enough practice it. There were many wars and acts of barbarism taking place at that time. From about 700 A.D. to about 900 A.D. the art or practice of making images was strictly forbidden in some parts of Europe. This included images of any kind such as wood carving and even paintings. This was brought about by artists who were copying Roman sculptures of pagan gods, pagan emblems and symbols. Many artists left for other parts of Europe where Monasteries employed craftsmen and artists of all kinds to worked on the monasteries themselves. The wood carving that was done in these monasteries were mostly relief carvings done in doors and wooden panels. Carvings done in each country in Europe were remarkably similar which can be attributed to the fact that the carvers traveled from monastery to monastery practicing their trade. After the year 1000 artists felt more freedom and began to open up with their work. Wood carvers were influenced by stone carvings and based some of their work on remains uncovered in parts of Europe such as Italy. In England carvings were also based on stone carvings. These carvings were not usually statues but decorative carvings. Some of these seem to be based on carvings done in Denmark and Norway. Centuries later, Scandinavian woodcarvers seem to have been influenced by stone carvings done in England. Some carvings done between 1000 A.D. and 1200 A.D. can still be found in old churches in England. These wood carvings naturally were protected from the elements otherwise they could not have survived. Many wood carvings over the years have been destroyed due to neglect. Others have been intentionally destroyed by wars and acts against the churches. Many also were destroyed in the name of improvement, such as replacing older carvings. Over the centuries wood carving has undergone may changes but has never died. Like in the beginning when the man was alone in the garden with his knife, as long as there is wood and there is man, there will be wood carvings. I encourage you to do more research on the history of wood carving if you are interested. There are many resources in print and online that you might find of value. If you liked this article you might be interested in another article that I wrote, the History of Chip Carving. 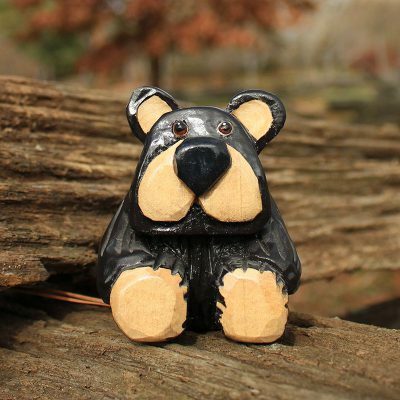 I just wanted to say thank you for sharing your talent with anyone that wants to learn how to get started in woodcarving; especially that you share free pdf patterns and your advice to just start with a pocket knife. I have not carved anything yet; but I was first inspired by someone that carves spoons. 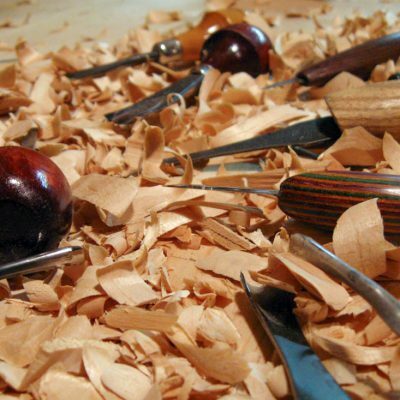 I found your website as I was searching about the history of woodcarving. I love the Biblical reference on your “History of Woodcarving” library page! Thanks again!